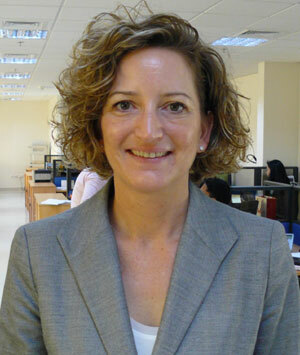 UAE-based Farnek, a leading facilities management company, has appointed Jennifer Peltenburg as head of Business Development & Marketing. Peltenburg’s dual role will see her spearhead the corporate sales team activity as well as drive Farnek’s external marketing strategy, with a focus on communicating the company’s quality and service expertise to prospective as well as existing clients. A Canadian national with over 20 years international strategic consultancy, she has initiated and managed projects across the aviation, security, hospitality, professional services and facilities management services sectors. “Jennifer’s specialist skills and experience in implementing strategic alliance partnerships, and her thorough understanding of value engineering and operational change programmes are matched by her firsthand knowledge of key industry sectors that Farnek already works with, and which are part of our future strategic vision,” said Markus Oberlin, CEO, Farnek. Prior to joining the Farnek team, Peltenburg headed up the sales and marketing team at Duserve Facilities Management, a part of the Dubai World Central-Al Maktoum International Airport development. During her four-year tenure with the company, she launched several groundbreaking client initiatives encompassing MEP, housekeeping and security operations at both corporate and residential level. She has also worked with leading international airports and airlines, including London Heathrow, Amsterdam Airport Schiphol, as well as British Airways and KLM Dutch Airlines. “Farnek’s reputation for innovation and its commitment to promoting the sustainability agenda make it an industry leader in the UAE, and I am thrilled to be joining the team at this critical time for facilities management as customers place growing emphasis on environmental credentials as well as upping their expectations when it comes to quality versus cost,” said Peltenburg.